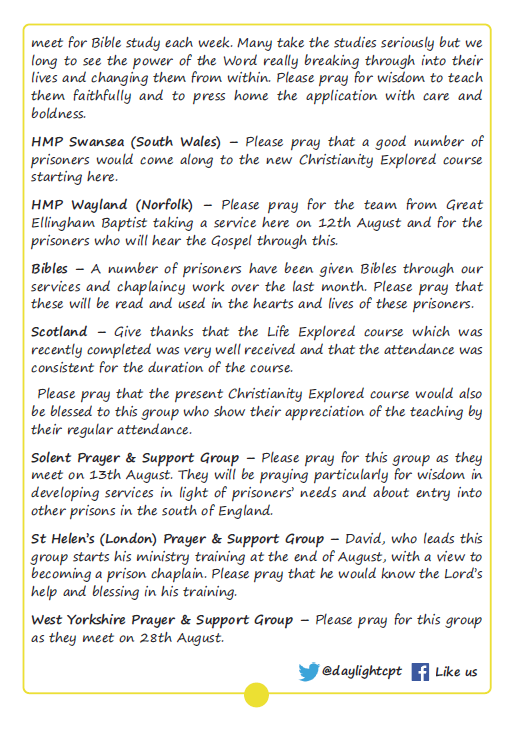 Below is our August Newsletter. 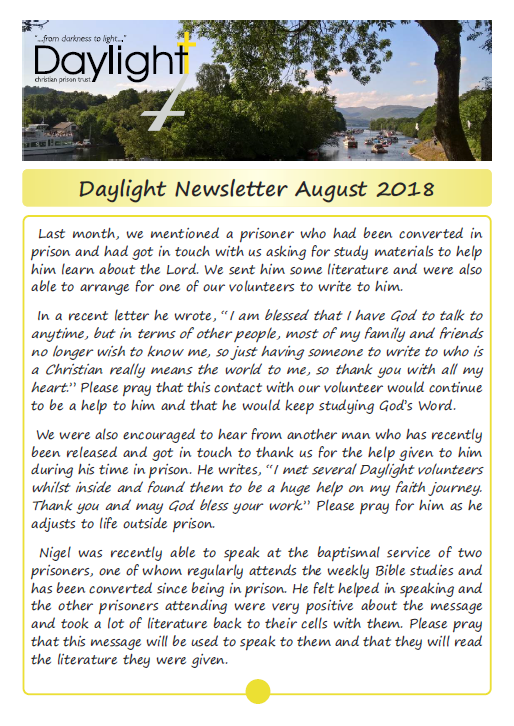 This month, we share something of a prisoner using our letter writing and contact with a man who has recently been released. 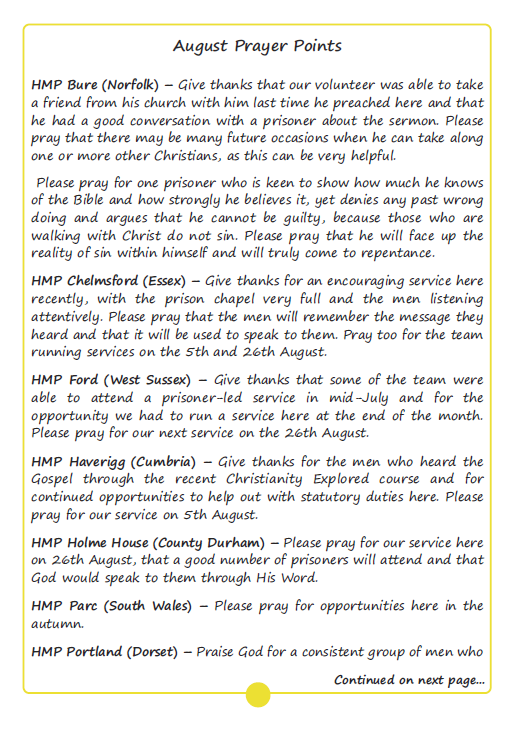 We also look at the recent baptismal service of two prisoners. 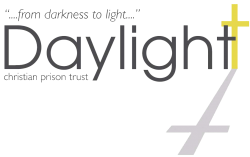 Please pray for our staff and volunteers running services, Bible studies and courses in prisons over the next month and for the many prisoners who will hear the Gospel through these.